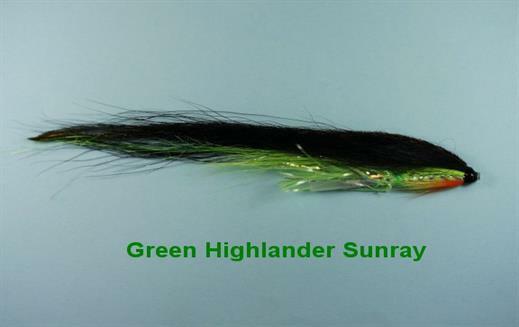 The Green Highlander Sunray is judged to be a mid summer fly and is especially good in fine weather and sunshine. It is very popular in the north of Scotland and Norway. It is an attractive looking fly which has found favour on rivers throughout the world. Hitching with a Sunray is an effective and exciting way to catch Salmon. Currently there are no comments about the Green Highlander Sunray fly pattern from other fly fishermen yet.